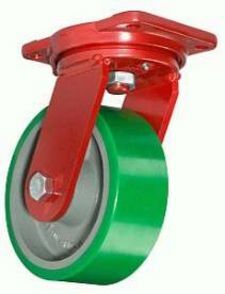 Our in-house caster and wheel experts can source and recommend the exact caster and/or wheel you need. We work with national brands to cover everything from light-duty cart casters to humongous casters for heavy industry use in towing massive equipment. You tell us what you need the caster to do and we locate the right caster for the job - whether from our in-stock inventory or through one of our many manufacturer partners. We deal with only reliable manufacturers. We have the experience and know-how to get you connected with the right product for your product.